When it comes to golf, there are a countless number of ways to practice. But why practice? This might be the most obvious of all the reasons to practice, but it’s certainly true. The best and quickest way to improve your game is through practicing. Whether that’s at the driving range, putting green or on the course, there is no substitute for good practice. The more time you put forth practicing, the lower your scores will be. Even better, no time spent practicing can be considered bad. Even if you only have a half hour, it’s still going to make a difference in your game. Golf is enjoyable regardless of your skill level, but getting better is a big part of why we find ourselves coming back for more. When you practice and improve, you will find more enjoyment out of your golf game. Also, your playing partners will likely enjoy seeing your progress. With practice, you will play faster, spend less time searching for golf balls in the woods, have fewer mishits and spend more time hitting fairways and rolling in putts. Playing golf is a healthy hobby for people of all ages, skill levels and walks of life. In fact, recent studies show that golfers tend to live 5-years longer on average. Not only can it lengthen your lifespan, but it can prevent 40 major chronic illnesses, such as diabetes, heart disease and colon cancer. Not only is it good for your physical health, but there are mental health benefits as well. It promotes social interaction, requires concentration and focus and is played outdoors, often in attractive lush settings. Furthermore, it is a sport that is suitable for almost everyone due to its moderate activity level. If you don’t enjoy practice as much as some, perhaps these benefits will motivate you a bit. Rolling putts on a practice green? Free. Practicing your chip and pitch shots? Free. Hitting a bucket at the driving range? That’s just $6 for our largest size! 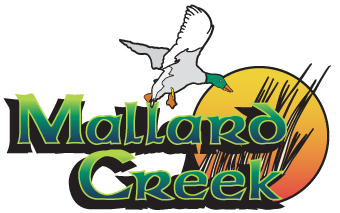 Even better, we now offer an Unlimited Range Pass here at Mallard Creek! The Unlimited Range Pass at Mallard Creek is the most affordable and valuable way to practice all-year long. Simply pay your one-time range pass fee and you will have access to unlimited range balls at Mallard Creek. You are welcome to use these range balls on both the driving range and our practice greens. The unlimited range pass is good any day of the week and can be used as long as the range is currently open. We have all been there. You’re in a good position in the fairway and you can feel a good shot is on the way. You pick your club, your setup is good, you swing and uh-oh. You just hosel-rocketed one into the woods. When you practice, you start to understand your swing better. From this, you will find that you are more able to figure out what went wrong at what part of your swing. So, even the bad shots you hit when practicing are good for your game. While it may be frustrating to have mishits, the only way to correct them is to understand your golf swing and apply what you know to improve. You can always make practice fun for yourself and anyone else you may be practicing with. Tired of hitting your 7-iron over and over on the range? Try making a game out of it by picking a target and seeing how many times you can hit it out of ten shots. Find putting practice boring? See how many 1-putts you can make from consecutive distances. There is always a way to make your practice sessions more entertaining and fun while still being productive. Oh, and we can’t forget the range picker. Who doesn’t love gunning some shots at the armored golf cart picking up range balls! One of the best things about golf is that we can all find something to improve on. Whether you’re a bogey golfer or PGA Tour player, there is always something in our game that can get better. When we identify what we want to improve upon, we create a goal and set out to accomplish that goal. While that may sound simple enough, it’s a good habit for anyone to develop that can be applied to all sorts of other life situations. That’s a big benefit of practice for any golfer, regardless of age or position in life. Practicing golf allows for us to enjoy some quality time. For some, that may mean a little bit of time away from work and other things to enjoy to the outdoors and some quiet time alone. For others, practice allows for socializing with friends and family members. Your time on the golf course, driving range or practice green is always time well spent. There are a ton of ways for you to practice and different strokes work for different folks. But one thing is for sure: the only way to make that stroke work is through practice. Let us know in the comments below, what your favorite thing about practice is!